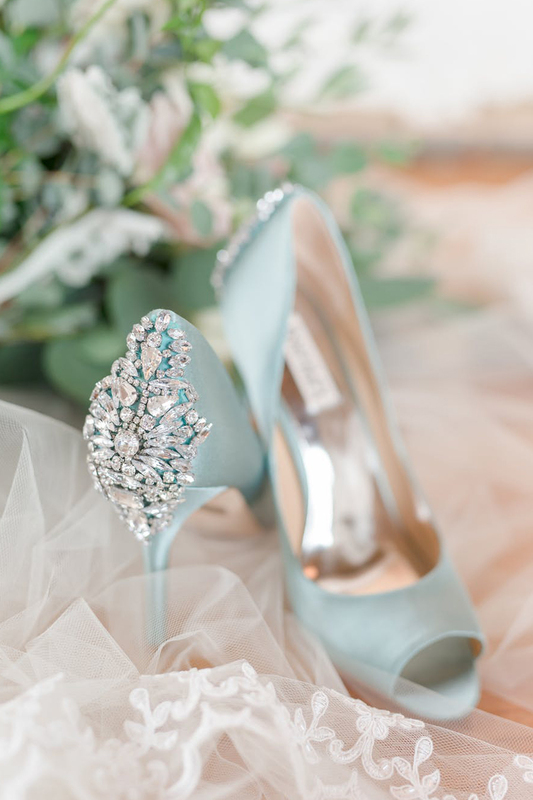 There are some amazing ways to add something blue into your wedding day! 1. 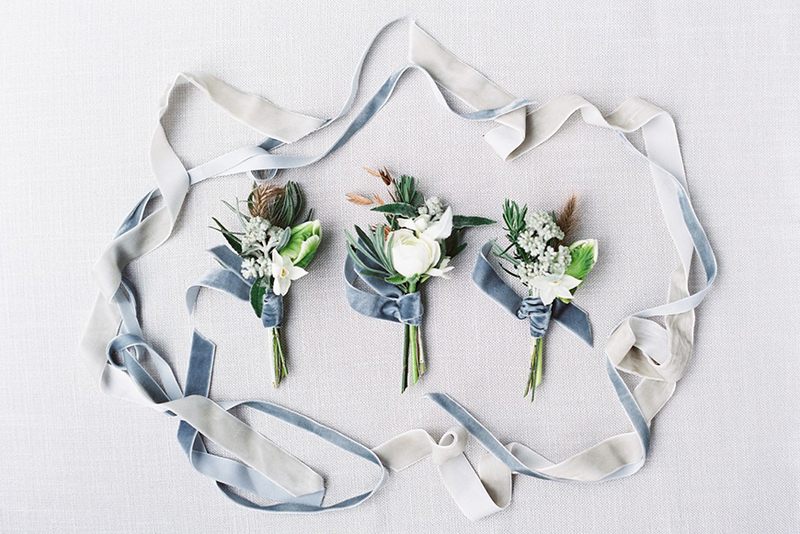 Blue ribbons for your bouquet are a fabulous touch but why not make them even more special? 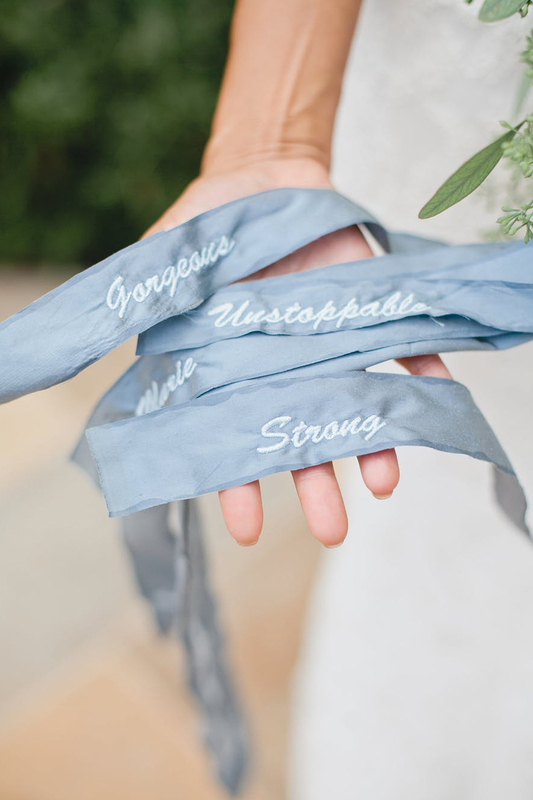 Ask your partner or friends for words that describe you best and then have these embroidered onto the ribbons themselves. 2. 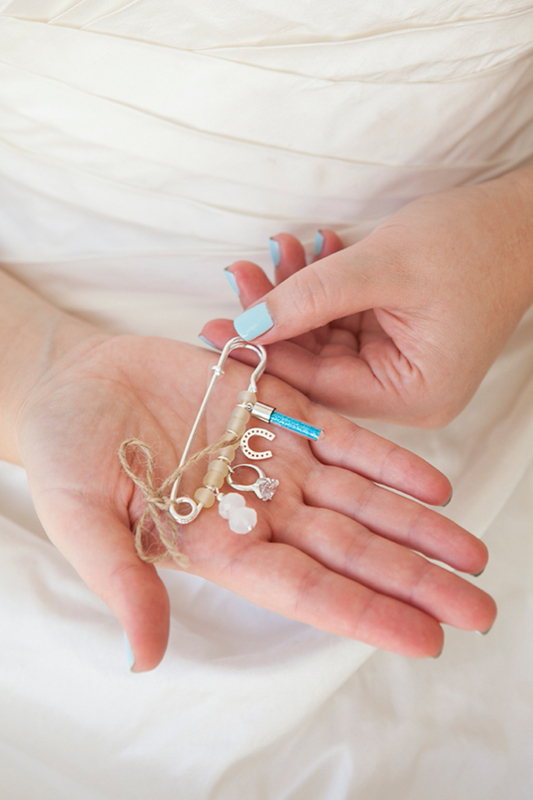 Make your own charm pin and include all your chosen pieces in one place! 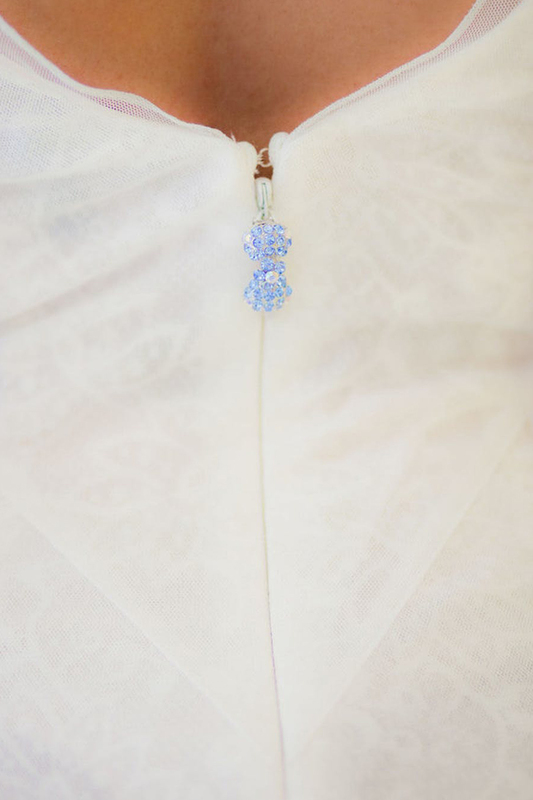 Add your old, new, borrowed and blue items to your pin and attach it to your dress for luck. 3. 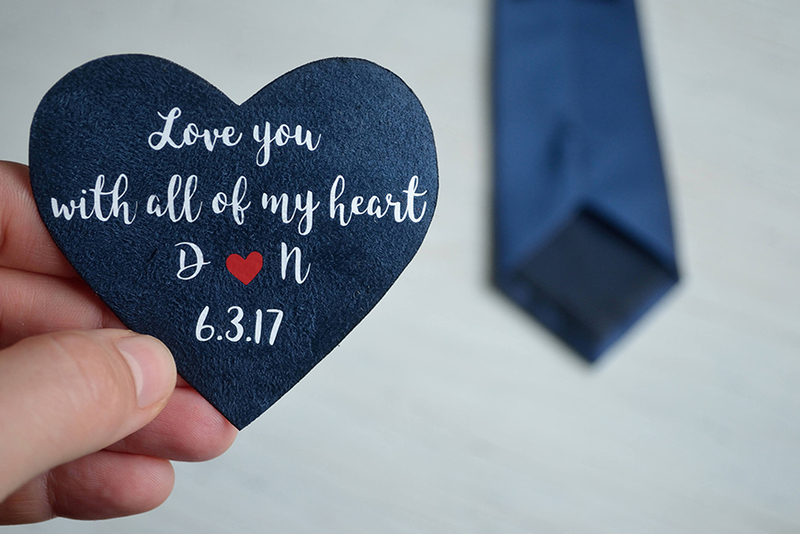 Grooms don’t have to miss out on this wedding tradition so give him a personal message that he attach to his tie. 4. Your something blue doesn’t have to make a big statement and it definitely doesn’t have to be complicated. Add a simple blue bow to the underskirts of your dress and feel extra lucky! 5. 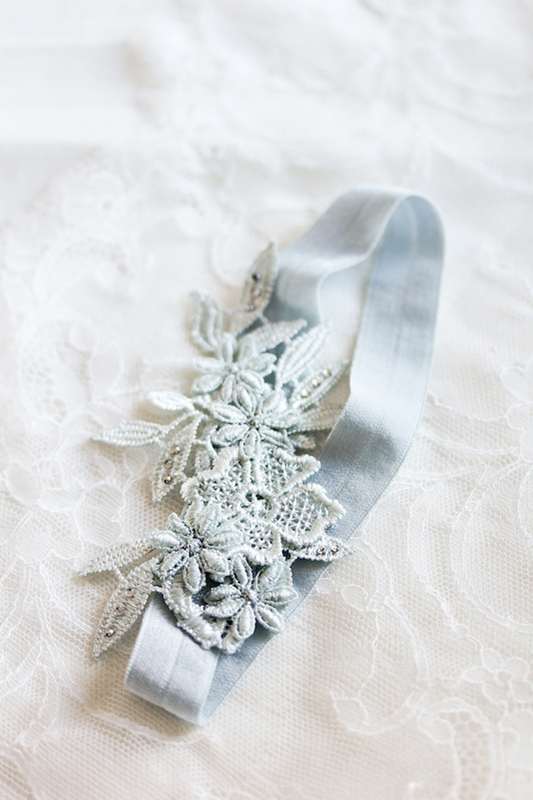 Another way to add a subtle something blue to your bridal ensemble is to personalise the zip of your gown. Attach some blue sparkles or a favourite piece of blue jewellery. 6. 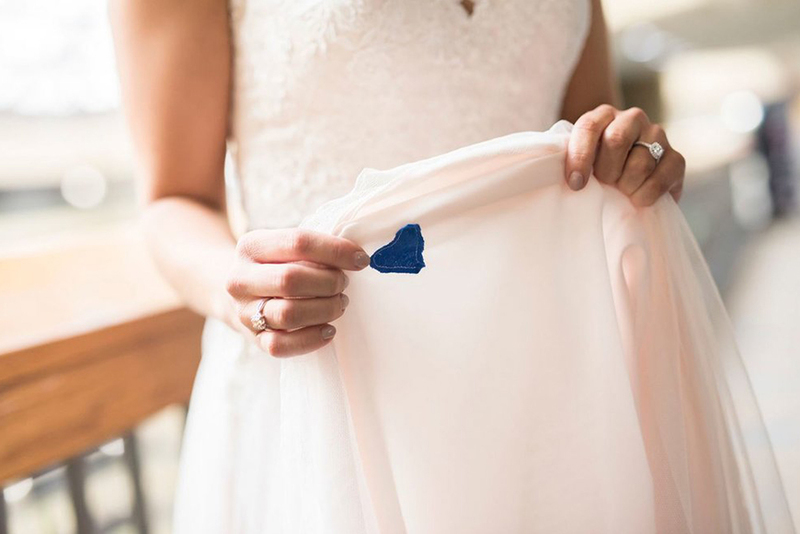 Take an old blue shirt, cut out a little heart shape and stitch it into the inside of your dress for a truly adorable something blue. If you want, you could even use a shirt that belonged to someone special for a little extra meaning. 7. 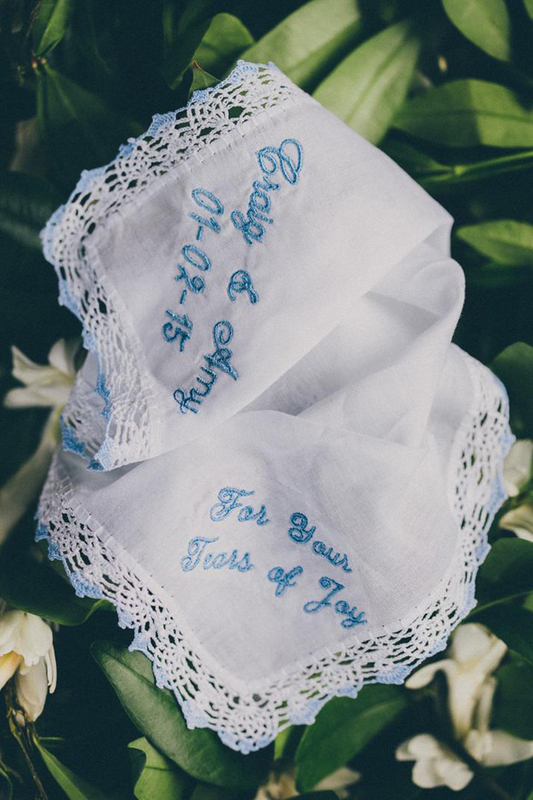 If you think you might get a little bit emotional on your wedding day, you’ll definitely need a pretty handkerchief to hand. Embroider this with your names and wedding date or a sweet message. 8. 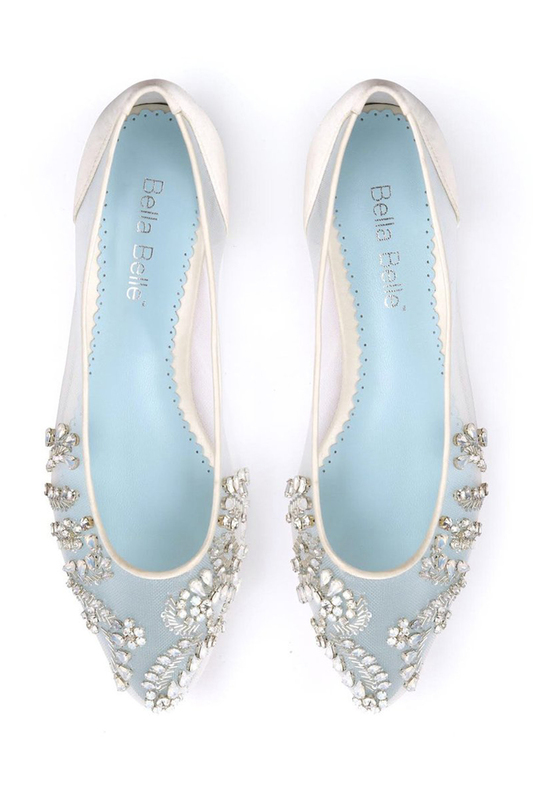 Blue wedding shoes are one of the most popular something blue ideas around and when you can wear shoes that are this pretty, why wouldn’t you try this? 9. If a blue shoe doesn’t appeal, why not opt for a blue lining instead? This is a really subtle way of including your something blue and don’t forget the ‘silver sixpence in your shoe’ too! 10. Garters are still very popular with brides and a beautiful blue garter can look absolutely amazing. 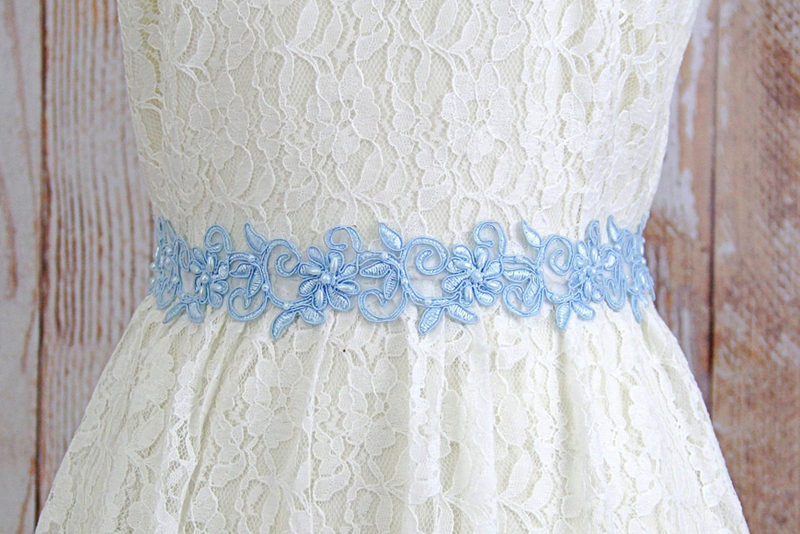 You could even include heirloom lace for your ‘something old’ if you like. 11. 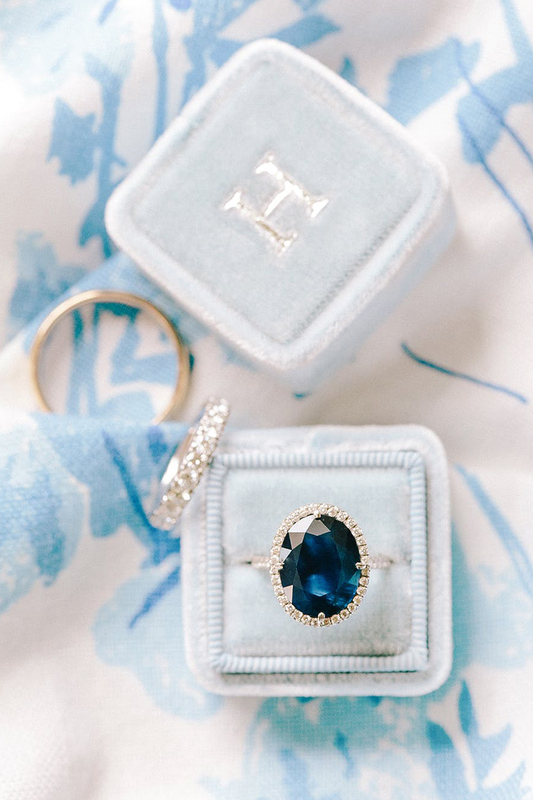 If you’re exchanging wedding rings during your ceremony, why not keep them in a beautiful blue ring box? That’s got to be super lucky! 12. 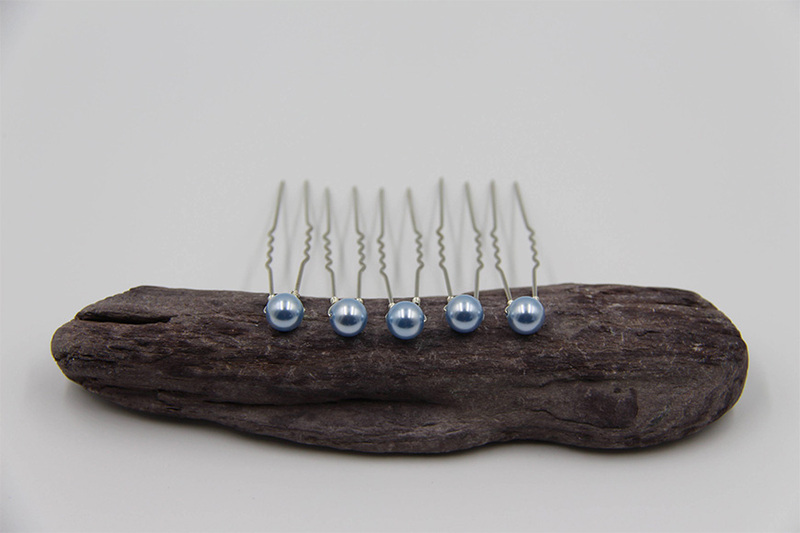 A blue hair pin or two can be easily tucked into your wedding day hairstyle, even if you’re wearing another headpiece. 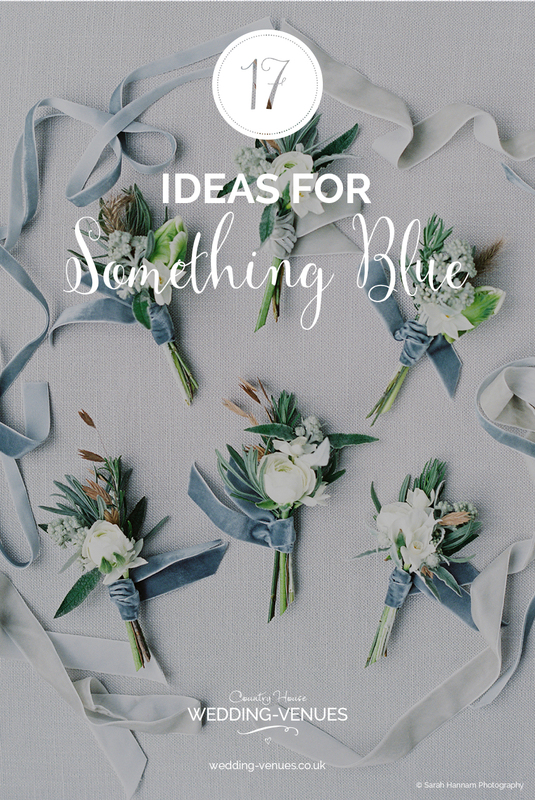 This is an incredibly easy way to include your something blue and you could even gift similar pins to your bridesmaids for them to wear on their own wedding day. 13. Another great idea for your groom and groomsmen is to add blue ribbon to their buttonholes. This could match the ribbons on your bouquet for a really coordinated look. 14. 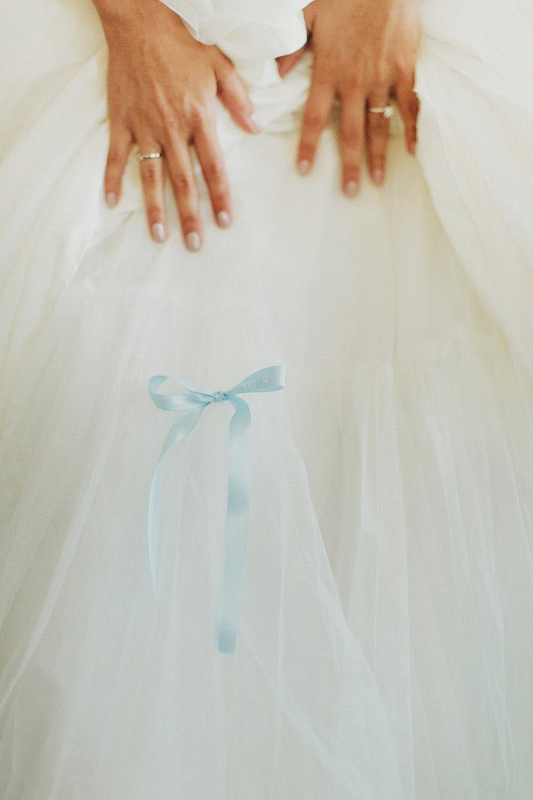 For a great pop of colour, why not add a blue underskirt to your wedding dress? A pretty tulle petticoat will give your gown lots of body and movement and it’s a fabulous quirky something blue idea too. 15. 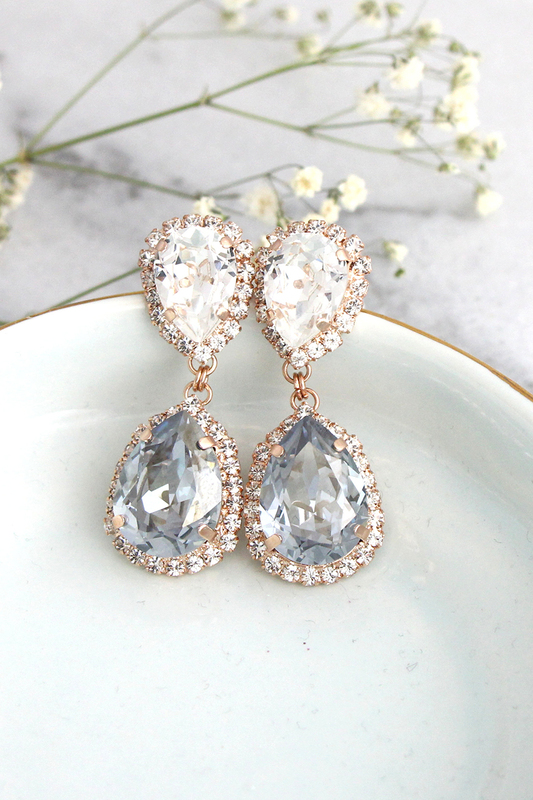 Some soft blue jewellery is always a good idea and you’ll be sure to wear your gorgeous earrings after your wedding. 16. 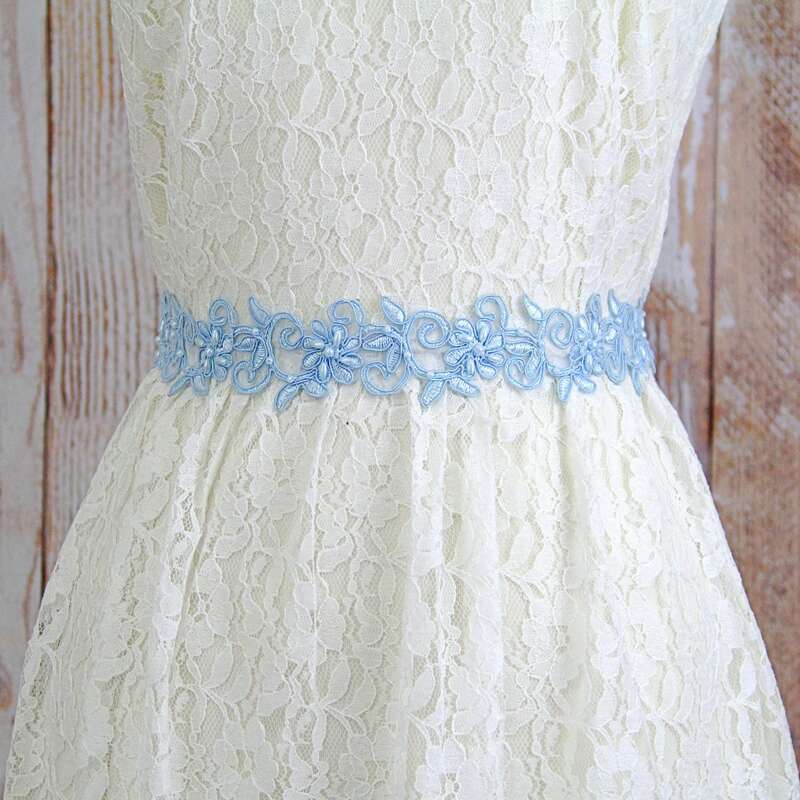 Add a statement sash to your gown to define your waist and include your something blue in your outfit in a really feminine way. 17. 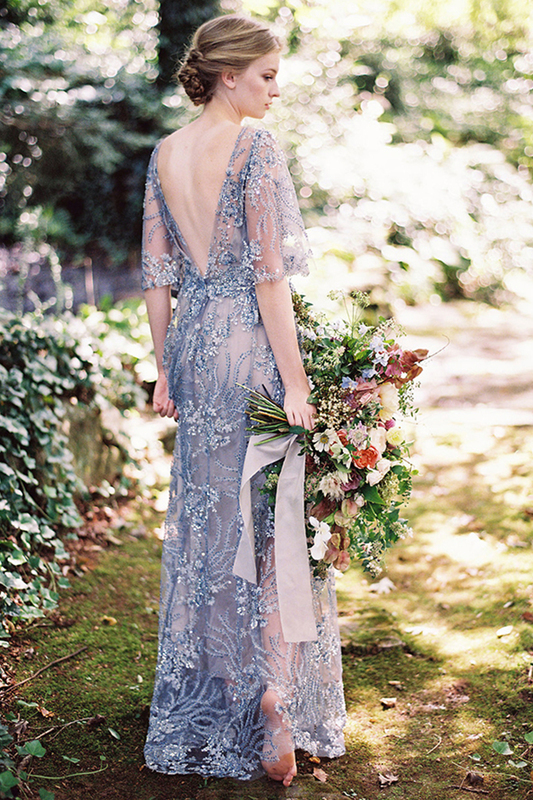 For the ultimate something blue, a beautiful blue wedding dress would be our choice. Coloured gowns are becoming more and more popular and it’s easy to see why when they look this good. If you’ve now fallen for blue in a big way or if you’ve including blue in your wedding colour palette, why not take a look at these brilliant ideas for blue wedding favours.